The Chao Praya River is an interesting landmark to see in Bangkok. It’s not absolutely necessary, however as a traveler, it’s difficult to avoid. To get anywhere touristy such as Wat Arun and Wat Pho, you have to cross the Chao Praya. I recommend taking the tourist ferry for this as it offers a guided commentary on the major sites and drop off points along the river for tourists (and it’s reasonably priced too). Beware that the river can be tumultuous after the rains so alter your plans accordingly. 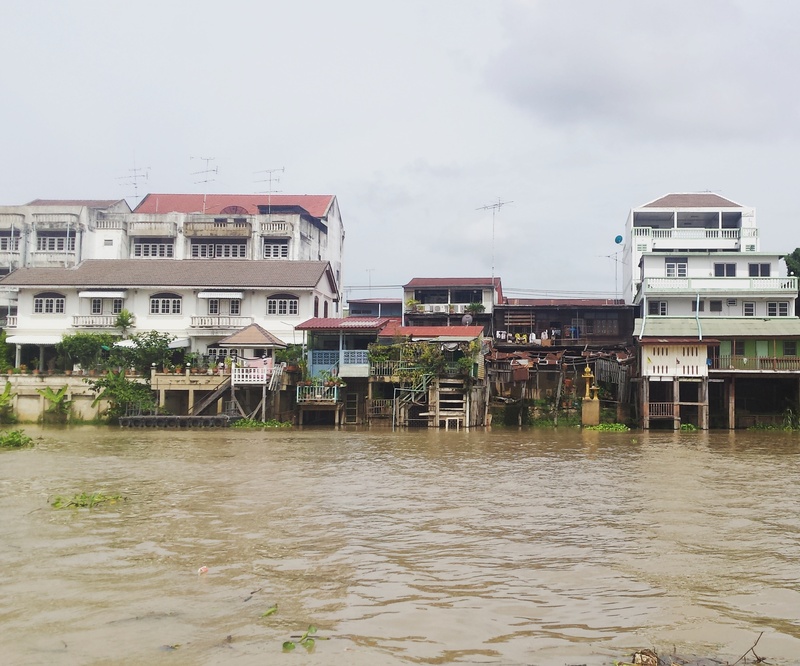 My favourite thing to do along the Chao Praya is to take a long tail boat cruise up the canals, a klong tour as they say, which takes you on a half day tour up through the waterside residences, art shops, villages and markets. It’s a great way to visit the other side of Bangkok. Good luck negotiating your ticket before you hop on first; don’t be scared of haggling and ensure you’re taken only to places you actually want to go. Other ideas include taking a water taxi across to one of the luxury hotels along the river, such as the Mandarin Oriental and have a delightful lunch by the water and let it all pass you by. .Disclaimer: This review was also posted on TripAdvisor. This blog has no affiliation with TripAdvisor. I just share my experiences to spread the love to fellow travelers.